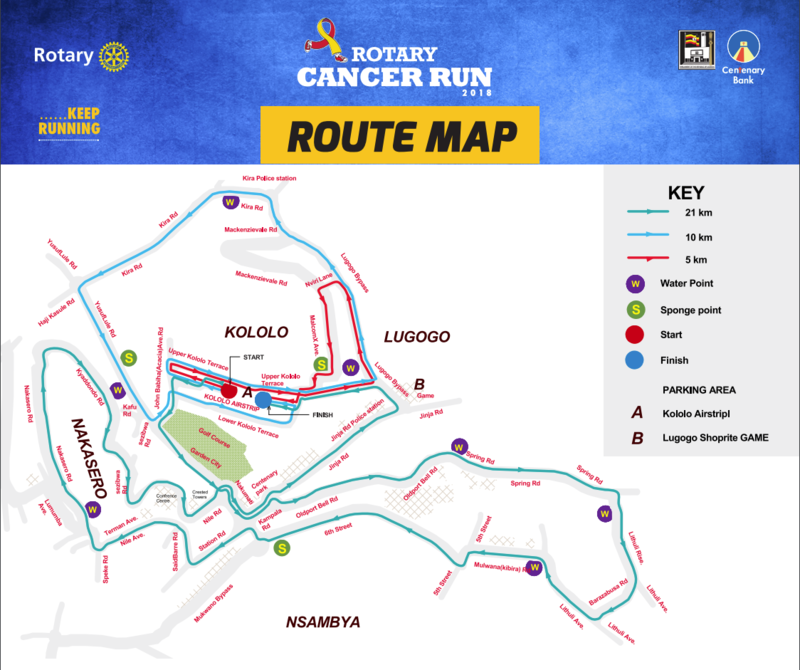 KAMPALA – As the Rotary Cancer run returns in full gear, this year’s edition is set to get even better with over 30,000 people taking part of the highly anticipated charity run across the country. This year, the run shall be held under the theme, ‘Keep Running,’ so as to foster the need to be fit and healthy. “This year we want to drive awareness of the reasons why people want to take part in the cancer run. We all know of a friend, workmate, or loved one who has passed because of Cancer,” said Henry Rugambwa, the Secretary Rotary Club of Kampala. He further revealed that Uganda Rotary Cancer Programme was initiated to save Ugandans were and still are dying of cancer due to mainly lack of awareness and treatment. 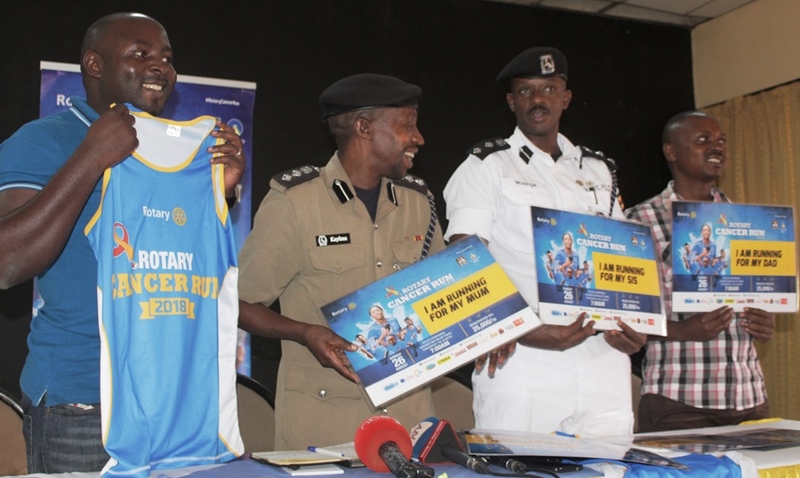 Speaking at a media briefing Friday, August 24, Uganda Police Spokesman, Emilian Kayima affirmed that there will be maximum security prior to and after the Rotary cancer run and called for vigilance and shared responsibility. “I urge the participants to remain cautious of their property and life throughout the early morning event,” said Kayima. Flanked by Rotarian Dennis Jjuuko, the Metropolitan Traffic Police Commander, Norman Musinga clarified of affluent traffic management where there will be a temporary closure of roads which the runners will use. 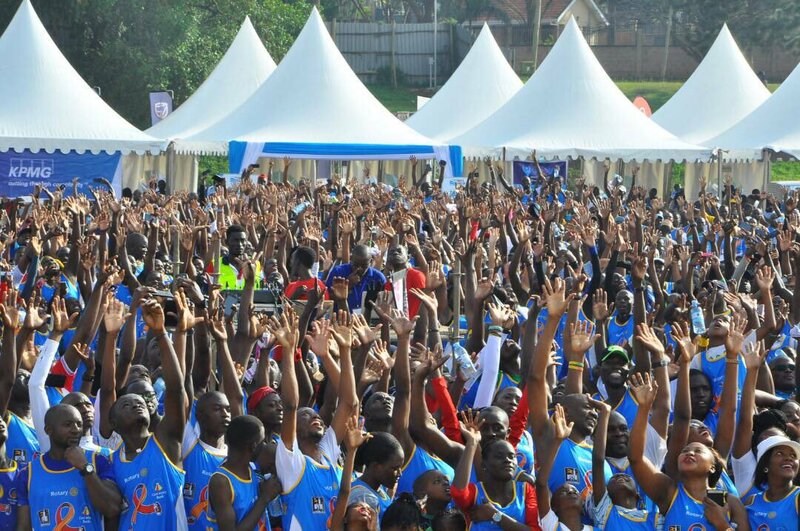 This year’s run has attracted big sponsors Centenary Bank and will take place on Sunday, August 26 at Kololo Ceremonial Grounds and in all major towns across the country. Tickets cost Shs25,000 each. Proceeds from the run shall go towards the purchase of two Linear Accelerators (modern cancer treatment machines) and building of two bunkers at Nsambya Hospital. The estimated cost for both the machines and bunkers is USD 4.5 million, approximately Shs18 billion. The Rotary Cancer Run has attracted sponsors with Centenary Bank sinking in a cash contribution of Ushs 155M in this noble cause. Tickets can be purchased at Shs.25,000 from all Capital Shoppers branches, Bulange, Mengo, Rotary Uganda Office on 9th Floor, NIC Building, Game Store Lugogo, select Centenary Bank branches, select Airtel shops etc and in all participating towns across the country.